This can't be what Polaris executives were hoping for when they released their three-wheeled Slingshot vehicle. Yet again, the model is the subject of negative press. Polaris has issued a "stop sale" and "stop ride" notice to all dealers and owners of the Slingshot, based on two separate issues. The first issue is related to faulty ball bearings in the vehicle's steering rack, which may result in loss of control of the vehicle. The second, unrelated, issue has to do with the vehicle's roll hoops. Polaris says it has been informed by its supplier that the roll hoops located behind the passenger and driver may not be up to the company's standards and may pose a risk in a rollover situation. Official notices are to be sent to Polaris dealerships this week. Owners of Slinsghot models should avoid driving/riding them until getting in contact with their nearest dealership. The Slingshot has been plagued by negative PR during recent months, primarily over the issue of what it is. Polaris says it's a motorcycle, but in November the state of Texas rejected that definition, saying the Slingshot is, in fact, a car. 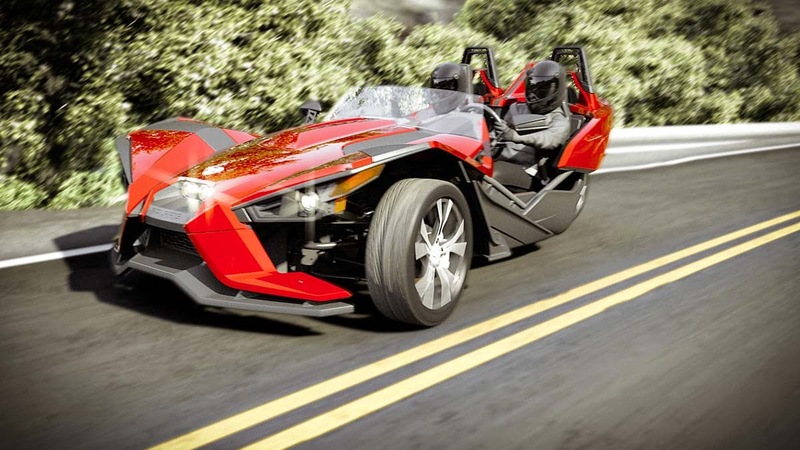 That ruling means Polaris isn't allowed to sell the Slingshot in the Lone Star State because it does not meet the more stringent safety requirements placed on cars. Then, earlier this month, the state of Connecticut followed suit, saying that the Slingshot's car-like elements meant it was subject to the regulations applied to cars.